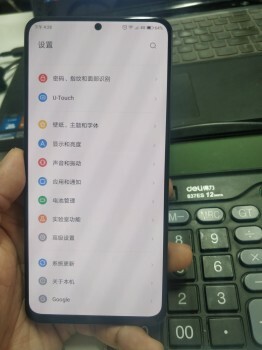 A certain Lenovo Z5s was detailed by TENAA and from the dark photos it looked like it had a teardrop notch. 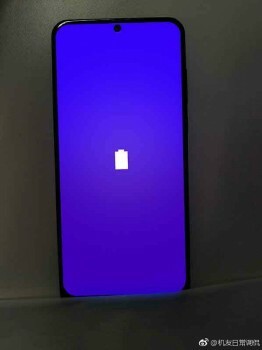 But it’s not a notch – it’s a hole. Here are some better photos of the phone that offer a clearer picture, and it really helps that the display is on. This is not the first phone with a pierced screen, but the location of the hole is important – it’s in the center. Both Huawei and Samsung seem to have settled on punching the hole in the top left corner of the screen. There are pros and cons for both. As you can see in the photos, the camera doesn’t appear to disturb the status bar much and this position is better for video calls. However, notifications that show a text preview in the status bar (e.g. an incoming SMS) will get see the camera get in the way. A hole in the top left just offsets the status bar a bit too much the right. The official teaser for the Lenovo Z5s promises a December unveiling. A quick recap of the specs shows a potentially very interesting phone. It has a 6.3” screen, is Lenovo’s first triple camera phone and may be powered by the Snapdragon 8150. Or a Snapdragon 675, there’s no solid info on this matter.